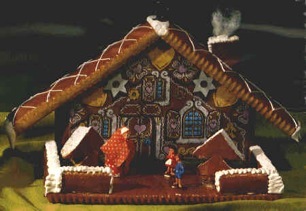 Isn’t this a darling Swiss style Gingerbread House? Gingerbread House is right out of the Alps with its colors, shape, and decorations. Visit here to get the recipe and instructions.